Our friends, the Kvistads, invited us over for dinner this evening. Earlier in the day we had mentioned in passing that tomorrow is Henry’s birthday. 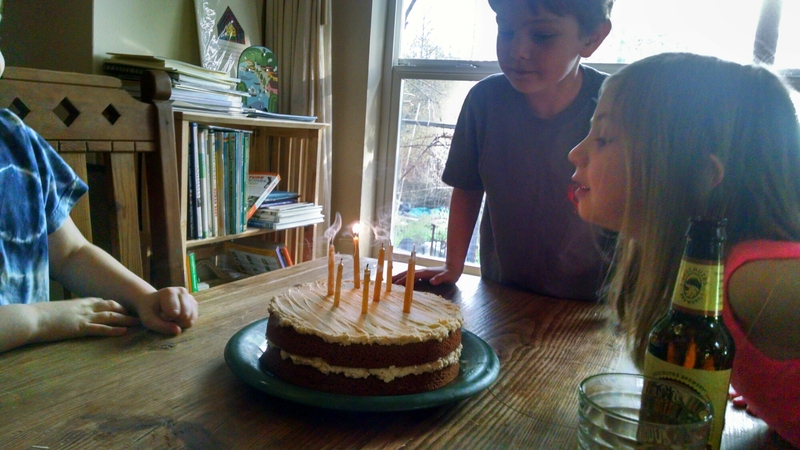 Just a few hours later, after we’d finished a delicious dinner, they surprised us with a homemade cake for Henry. This was so incredibly sweet, and reminds us – yet again – that we live in an amazing community, surrounded by wonderful people. Thank you Brian, Jennell, Freda and Sam. What a great pre-birthay present for Henry. P. S. The cake was so good.